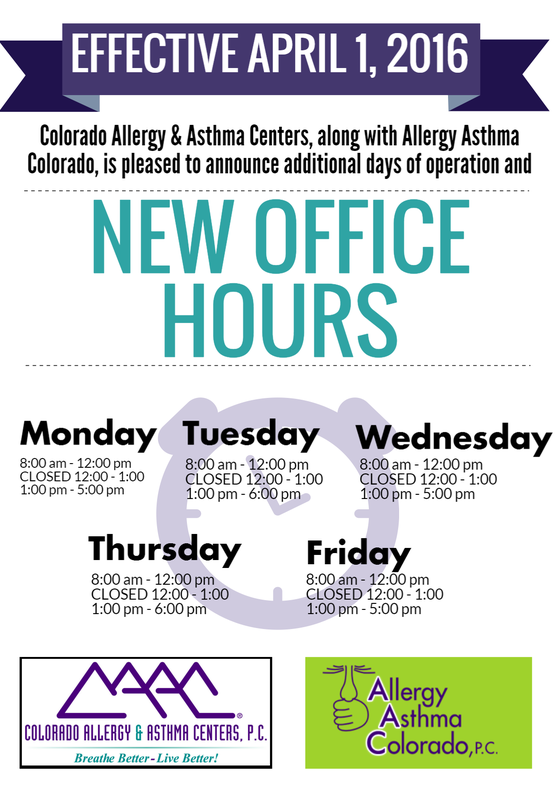 Welcome Allergy Asthma Colorado Patients! - Colorado Allergy & Asthma Centers, P.C. Welcome Allergy Asthma Colorado Patients! For those of you seeking Dr. Silvers’ website for Allergy Asthma Colorado, you’ve come to the right place! On April 1st, Colorado Allergy & Asthma Centers acquired Dr. Silvers’ practice. We are the largest allergy and asthma care provider in Colorado, and are thrilled to have Dr. Silvers and his team joining our family! Though it may seem sudden, we promise: not too much has changed. The Englewood clinic will remain open in the same location, all patient medical records will be maintained here as well. Due to availability and proximity of other Colorado Allergy & Asthma Centers clinics, the Sky Ridge clinic location will be closed. In an effort to provide you greater access to care, we have expanded clinic hours and days of operation. 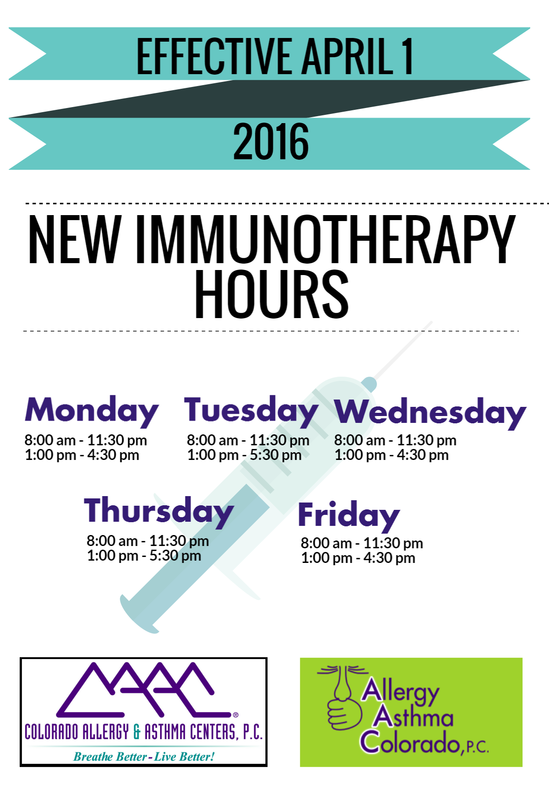 You can view the new clinic hours here, and the immunotherapy hours here. 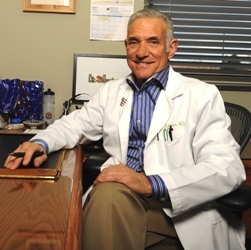 To read the letter Dr. Silvers sent to his patients, click here. If you would like to request an appointment, you can either call the clinic of your choice by checking our our locations page, or you can fill out a Request an Appointment form. If you have any additional questions about the acquisition, feel free to contact any of our staff and they will help you in any way you can.